OnePlus 3T has announced its launch this November in China. Coming to India will take a few more days and you get it by December 2nd. The phone offers a faster performance and longer battery life with a quick charging time. Read on to know if it can be in the list of your next choice. 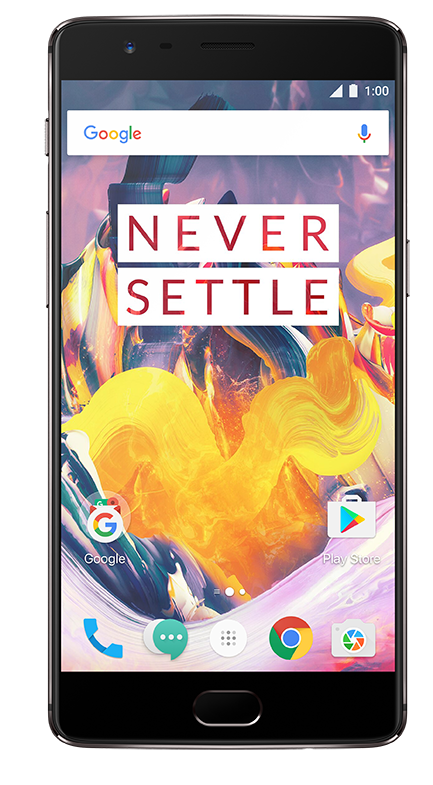 This November, the recently launched OnePlus 3 would be replaced with an upgraded model named OnePlus 3T with better promises of performance and ease of use. The phone won't take too long to enter the huge market of India, as they have announced the release date in advance, which would be December 2, 2016. The highlights of the phone that could be heard so far is its Processor and Battery which would play instrumental in keeping up the promises they made. The phone has opted for a full HD display replacing that of a quad HD panel and the manufacturer assures that the phone could be charged for a day only within 30 minutes! OnePlus is a Chinese company that is going to introduce the 3T model not as their flagship device but by calling it to be just an upgradation of their early launch OnePlus 3 without making any remarkable change from outside. 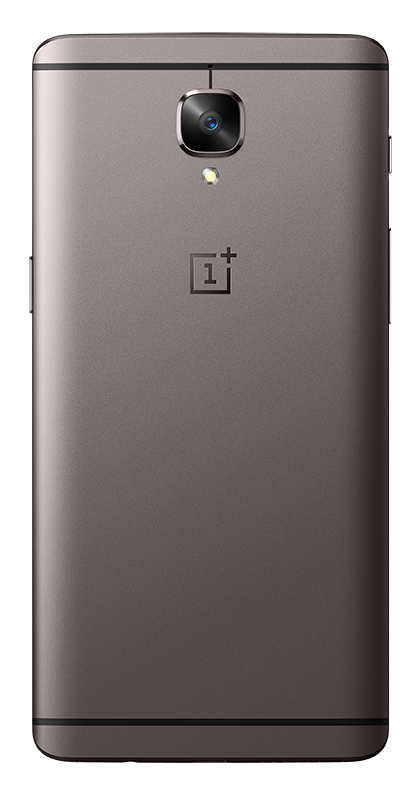 The OnePlus 3T would be built up with a powerful 1.6GHz quad-core Qualcomm Snapdragon 821 chipset. To increase the performance the phone has a huge RAM of 6GB with two variants of Internal Storage 64GB and 128GB respectively. But no, you cannot be greedy and expand it any further. And all these would continue to operate through the day with a 3400maH capacity non-removable battery that takes only half an hour to get fully charged. The Operating System is Android 6.0.1 with the Oxygen OS 3.1.1 Skin that we all love to use. The phone this time has no apparent change from its predecessor and carries the same old dimension as before with 152.70 x 74.70 x 7.35mm as its length, height and width. The weight of the phone is as light as 158gm. The 3T model comes with a new "gunmetal" color that gives it a smart getup, but you can also choose its soft gold colour option as per your choice. The newer model has kept the same size of 5.50inches HD Optic AMOLED display with a Resolution of 1080x1920 pixels with 401 PPI and that gives the selfies a sharper and better look. The Camera of this phone is something different from all other we get to see. It has given equal power to both the cameras with a 16-megapixel capacity. That's why many are awaiting this selfie-centered phone that has caught the current trend. To answer all the recent connectivity features, the phone has a standard "yes" for 802.11 a/b/g/n/ac standards supported Wi-Fi, GPS, Bluetooth v 4.20, NFC, USB OTG, 3.5mm Headphone and support for 3G/4G/ LTE. But you still don't get Infrared or FM which is again a matter of disappointment to many. Barometer or Temperature sensor in this model. Let's hope if they plan to integrate these two in their later upgraded models. Till now we have seen that almost every flagship phone that has been released so far this year has been built up with a Snapdragon 820 processor going over the 821 chip offered by Qualcomm through many latest phones. It appears that OnePlus wanted to go more like the Google Pixel and LeEco Le Pro3 which have shown a broader way towards popularity. OnePlus 3T is created in two variants. The 64GB variant will be costing $439 that would roughly come as Rs 29,800 in Indian currency and the 128GB will be priced at $479 costing around Rs 32,500 for we Indians. The OnePlus 3T is concentrated more on lengthy battery usage and sharper selfies. The 128GB storage option is yet another unexpected plus point that could leave many competitors behind. 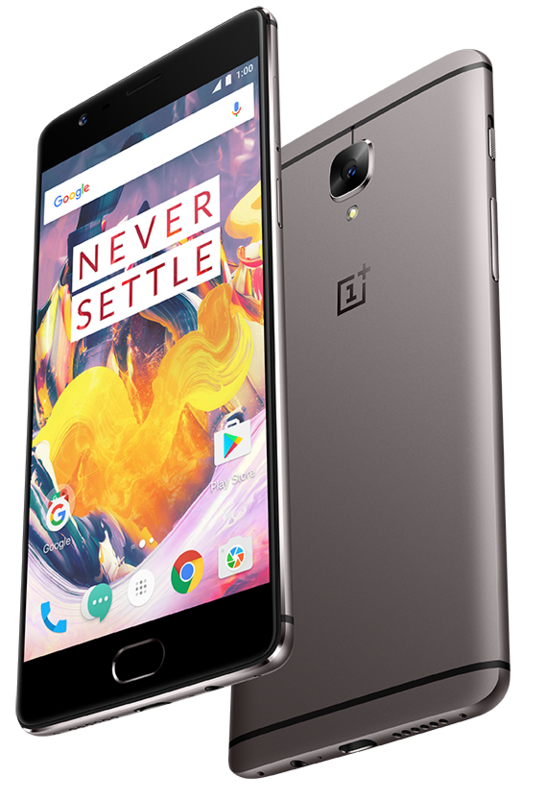 They have increased the price from that of OnePlus 3, so the owners of OnePlus 3 would certainly not go for it. Even better phones are available at this price range. The launch of an upgraded model from OnePlus 3 itself brings about an expectation that you get better from what you got before. The OnePlus Company reviewed what has been lacking in their earlier model, and worked hard on fixing them up. But the effect did matter to some other competitors in the queue as well. The battery efficiency, the huge increased storage and the overall powerful performance with the right choice of Processor made it almost perfect. But the overpricing can draw a negative wave which their earlier model didn't have to face.